Daily Slideshow: If you're a fan of fine grape-derived beverages and Lexus luxury, you're going to love this classy, wine cellar-equipped Lexus ES. Lexus vehicles have always symbolized the finer things in life, carrying prodigious amounts of luxury, fine materials, and brilliant engineering. Thus, you can expect that a decent percentage of Lexus owners also like to enjoy a fine bottle of wine every now and then. For those who love to truly live the good life in more ways than one, the automaker has come up with this stunning ES sedan fitted with its own makeshift wine cellar in the trunk. 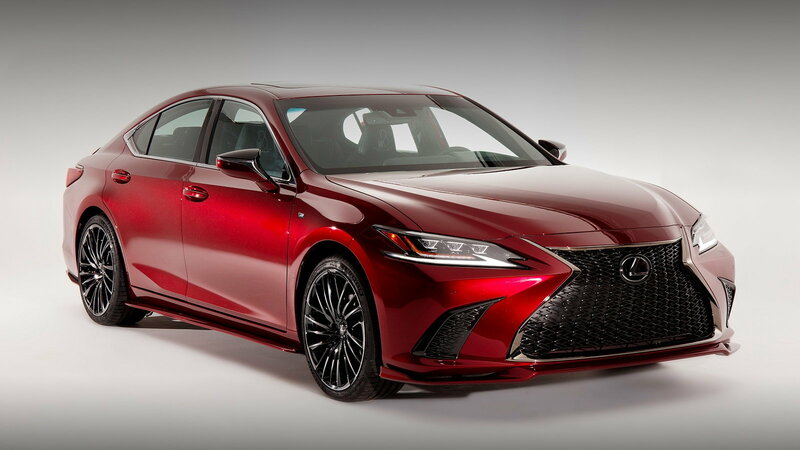 On the outside, it doesn't look like anything more than a brand new, stock 2019 Lexus ES. And yet, the automaker included the car in their annual lineup of custom rides at the 2019 SEMA show in Las Vegas. But that deep, rich red paint is a subtle hint as to what makes this sedan more special than most. 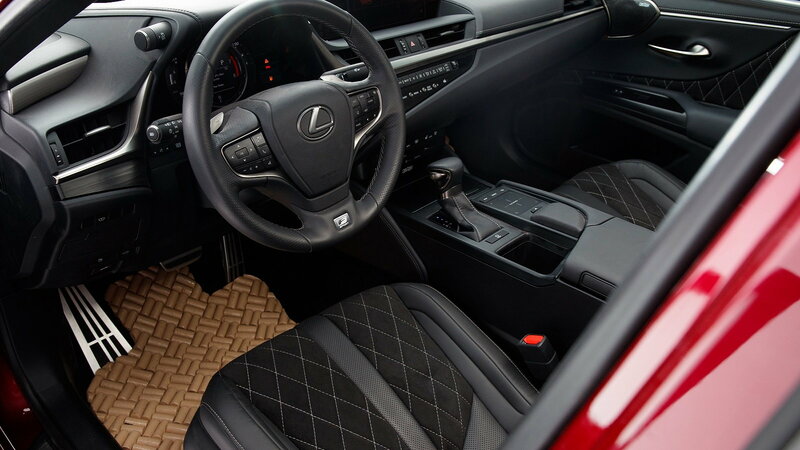 >>Join the conversation about this wine lovers' Lexus ES right here in the ClubLexus forum. 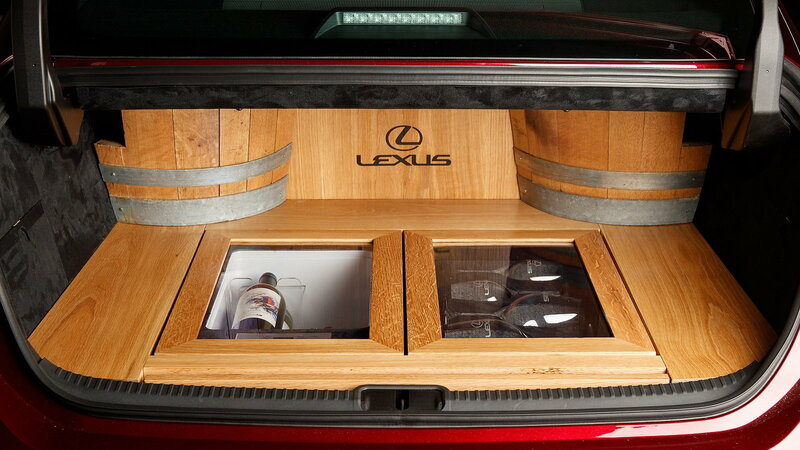 The main attraction of this special Lexus lies in the trunk, of course, where you'll find a fully functional wine cooler below the trunk floor. 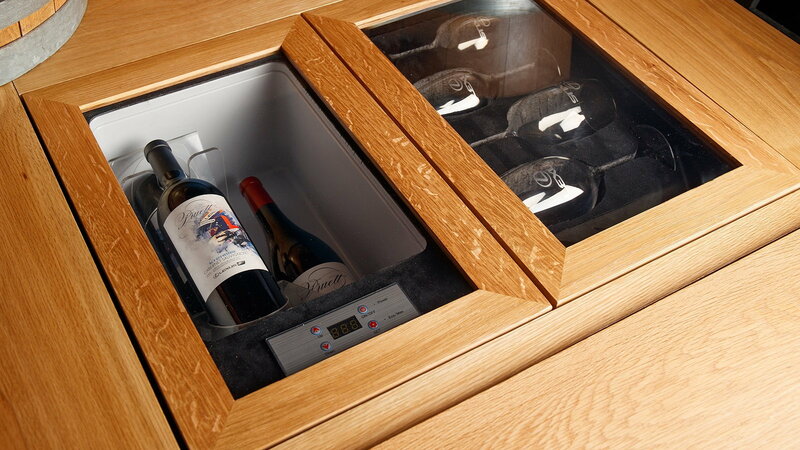 That space is capable of keeping up to six bottles of your favorite vintage at the perfect temperature, as long as you can resist popping them open. 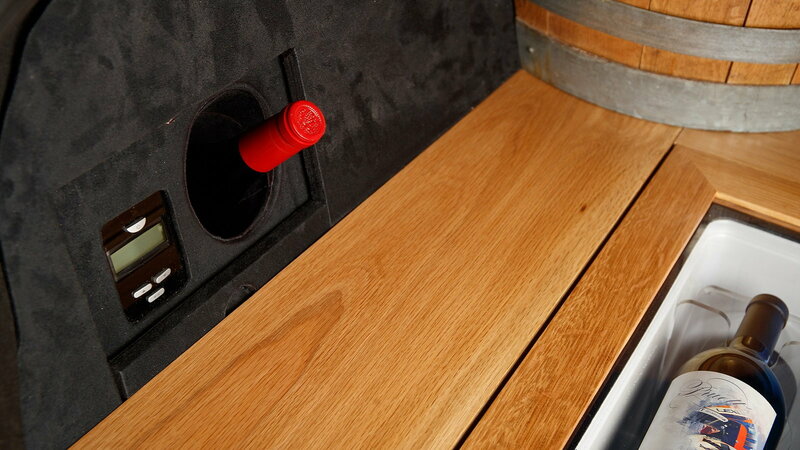 Right next to that chilly compartment lies another, equally sized space that holds four wine glasses. For your four friends, hopefully, because somebody's got to drive everyone home after all this! To the left, you'll also notice a cutout section built to hold yet another bottle of wine, if you prefer to keep one at room temperature. But the most impressive thing about this beautiful oak wood-laden trunk is that it retains most of the ES' 16.7 cubic feet of trunk space. Talk about no compromises! 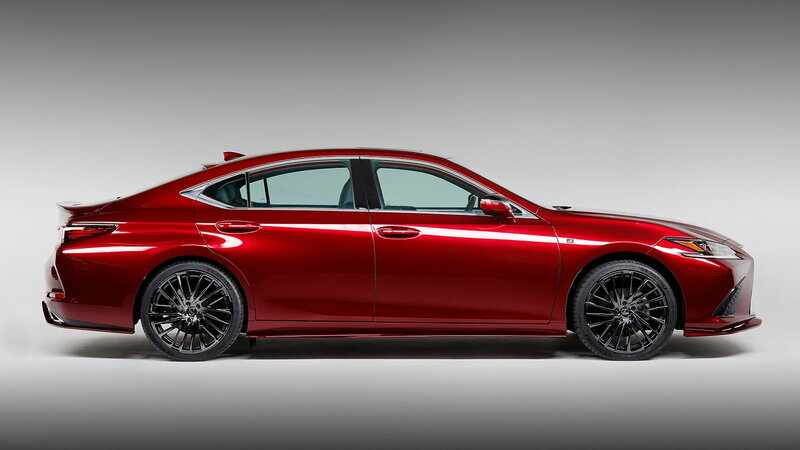 Of course, Lexus didn't just build a red ES with a fancy trunk and leave it at that. The interior of the ES features a host of cool custom touches, including floor mats that look like they were fashioned from wine corks. This Lexus ES is certainly a unique showpiece, even if combining alcohol with cars doesn't seem like such a great idea at first. Of course, we know that Lexus fans are smart enough not to mix the two. 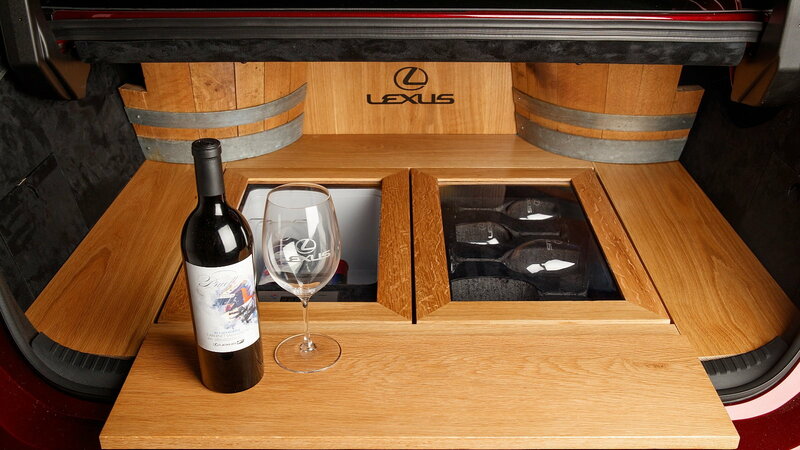 Regardless, don't expect to see a custom trunk wine cooler in Lexus' order guide any time soon!